Fired up and ready to do more? 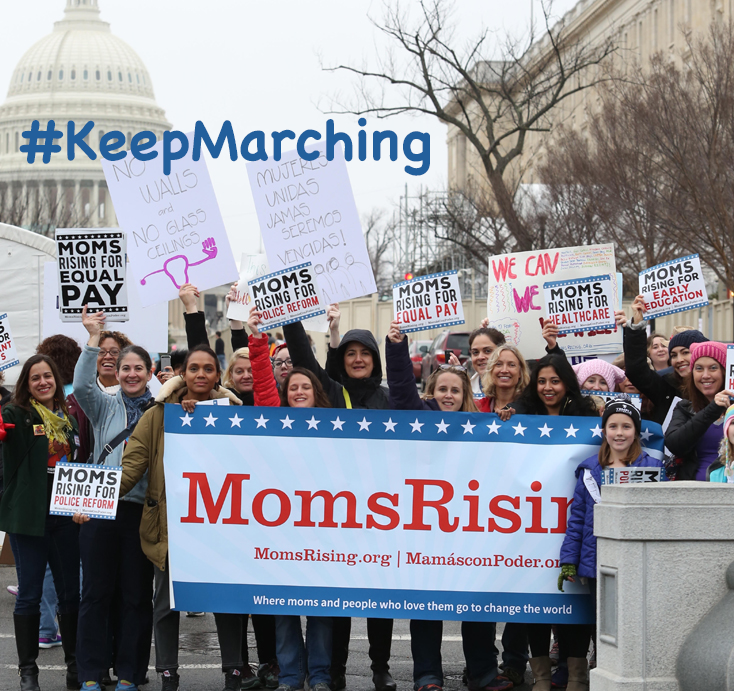 Start a MomsRising #KeepMarching Circle! Full stop. Important question for you: Want to start a MomsRising #KeepMarching Circle? I've been organizing in one way or another since I was 19. Two children and a marriage of two decades later, I've been blown away by the recent groundswell of grassroots activism happening right now starting with the Women's March. Millions of women participated...Make no mistake, the passion and commitment of women and mothers, who make the vast majority of healthcare, consumer and education decisions in our nation, are driving this new engagement as they watch in horror the decisions being made by the President and his allies in Congress. We’ve been hearing from MomsRising members and volunteers across the nation who want to do more! So if you’re fired up in defense of families, communities and our country, and are ready to gather your family, friends and neighbors to stand strong against hate & for policies that lift us all, then MomsRising is here for you! #KeepMarching Circles give form and function to what you are looking to do or may even be doing already: Meeting with others to talk about current events, strategize about and what can be done to lift our communities and country; sharing your anger and disgust and emailing around to each other petitions and actions to sign; gathering for postcard parties and attending town hall meetings together; swapping meeting agendas, and more. When you sign up to be a #KeepMarching Circle Leader, you will be added to a secret Facebook group, where you can share information and compare notes with other #KeepMarching Leaders across the country. If you're looking for actions, you will be among the first to know about MomsRising's activities across all our campaigns and how you can help. We’ll also post sample agendas and action toolkits for you to use. Finally, you will have more direct and immediate access to MomsRising resources and staff, who will also be members of this Facebook group. The entire conversation was recorded, so at your first meetup, your group can listen to the recording, while following along with the downloadable toolkit, #KeepMarching: MomsRising Advocacy and Organizing Tactics and Tips. Afterwards, your group can decide your focus, develop a message, and begin discussing how you can work together to maximize your impact. Easy!